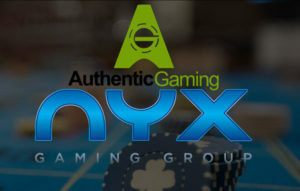 Authentic Gaming has been added to the NYX Platform - Live Roulette. 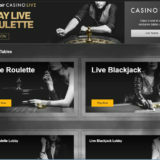 The supplier’s innovative Authentic Roulette live dealer product is now available to all NYX licensees. Malta: 15th May 2017 – Live casino pioneer Authentic Gaming has joined forces with NYX Gaming Group to make its ground-breaking Authentic Roulette product more easily accessible by the supplier’s licensees. 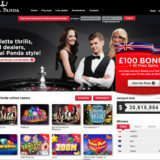 Authentic Roulette allows land-based operators to live stream games from roulette tables located on their casino floor to an unlimited number of online players via the supplier’s network of B2B clients, including Kindred Group, LeoVegas, Unibet and MariaCasino.com. The footage is captured via discreet HD cameras located above the wheel and around the table. Authentic Roulette is not realistic, it’s real; the tables are real, the croupiers are real, the cards and the chips are real and, most importantly, the other players are real. 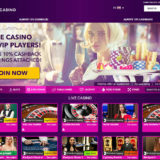 It has been installed in land-based casinos across Europe, including properties belonging to Casinos Austria International as well as the Platinum Casino at the Radisson Hotel in Romania, Casino Bucharest at the Intercontinental Hotel and Saint Vincent Resort & Casino. “This is a breakthrough deal for us, putting our innovative and exciting live dealer products in front of a large number of European and international operators. Authentic Roulette offers the most immersive and engaging live casino experience in the market, and is a huge boost to any operator’s portfolio. It takes live casino to the next level and is far more authentic and superior to studio based products. 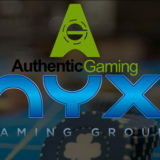 “We are always looking to strengthen the NYX OGS with exciting and innovative products, and Authentic Roulette certainly fits the bill.